Pass or Fail? Main Street Bakery Closing for Starbucks! Special thanks to Chip & Company for sharing their photo! Yesterday I heard something that just really bothered me. 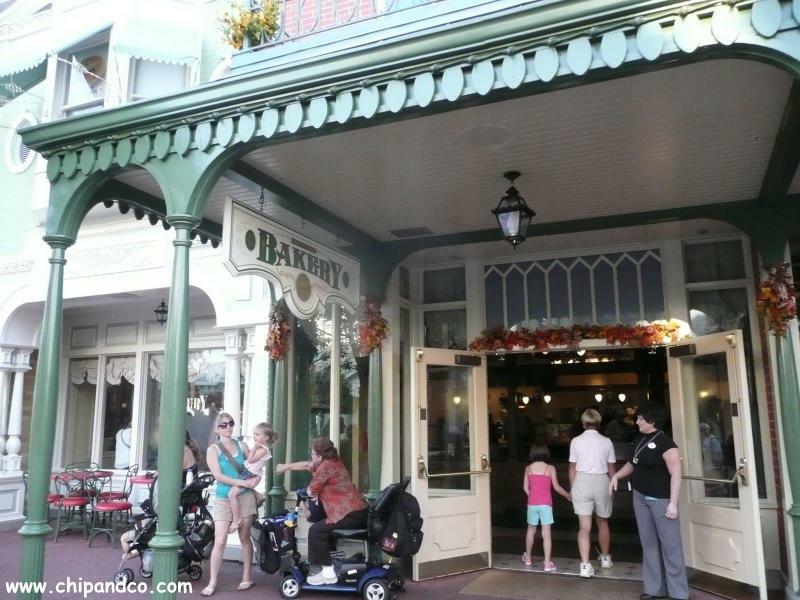 The Main Street Bakery will be closing it’s doors in January, 2013 for refurbishment, at which point it will open up as a Starbucks! According to Wikipedia, there are 19,972 Starbucks locations in 60 countries, including 12,937 in the United States. In the Raleigh/Durham, NC area that I live in, there are no less then 50 Starbucks throughout the area. So why do they need to close one more great Magic Kingdom establishment like the Main Street Bakery just to open one more Starbucks? I know that the Walt Disney Company has made many changes over the years, and that, in Walt’s eyes, the parks would never be completed because as soon as they were, they would become stagnant and lose some of the charm that they hold. I also know that the history of Walt Disney World (and also of Disneyland I believe) is one of a corporate sponsorship of various attractions, gift shops, and other landmarks. However, I feel like Disney has gone too far this time. I am not a coffee drinker, and I don’t think I will ever be one, but this isn’t about that. The purpose of a vacation to Walt Disney World is to take yourself out of the here and now, out of the world, out of the daily grind, and to enter into a world of magic, of yesteryear, of a time gone by. To stroll down a Main Street, catching all the sites and sounds, of imagining yourself at the turn of the century, with horse drawn carriages, Mayors that aren’t afraid to be seen in the street, and of street vendors selling popcorn before the movie at the local Cinema. Now, part of Main Street will be missing. Gone will be the Bakery, and in it’s place, Starbucks. Suddenly, I express the concern that I am afraid many people will have — that going to Walt Disney World is just something to do, but not much more special then a trip to Carowinds, or to Six Flags, or Universal. Suddenly, you can find and do things at Walt Disney World that you can do half a mile from your home — you can order a double latte with whipped cream, or something like that. In my opinion, putting a Starbucks in to replace the Main Street Bakery is a big FAIL. What do you think? I read about this at the Disney Parks Blog, feel free to check out their article. My Dreams of Disney REALLY Came True! I completely agree with you, Mike! Starbucks does NOT belong on Main Street! Isn’t anything sacred anymore? My hope in writing this is that it will have the affect that my wife Cindy thinks it will – that enough of us will call it a fail, and that public opinion will allow Disney to see the error in their decision and make things different. There is a lot we don’t know — for example, will the food be regular food you find at Starbucks or food you were used to seeing at the Bakery now? Also, I’ve heard that the Cinnamon Rolls are going to be available all over the new Fantasyland areas, but will it still be the same? Things like that. I expect to those that knew that I tried out for the Moms Panel every year that I have just written my ticket to never being on the Moms Panel — but that’s okay! This is more about what it is all supposed to be about — the parks themselves. Thanks everyone for reading! EPIC FAIL! The Bakery is an icon of Main Street! We go there especially for the huge cinnamon rolls, the coffee cakes and all of the sweets, and to feel like we are in another place and time! Stick the Starbucks in a hotel lobby or something, or put it in Tomorrowland with a futuristic theme. Not on Main Street! Main Street has already lost so much of it’s charm, with the loss of the Penny Arcade machines, the theater, etc. Let the Bakery stay! Pretty soon, no one will stick around Main Street unless they are going to the Emporium to buy something. Sad. Why couldn’t they tuck it into the Noodle Station between main street and Tomorrowland, which is never open anyway? Next Post: Saluting our Veterans on Veterans Day!